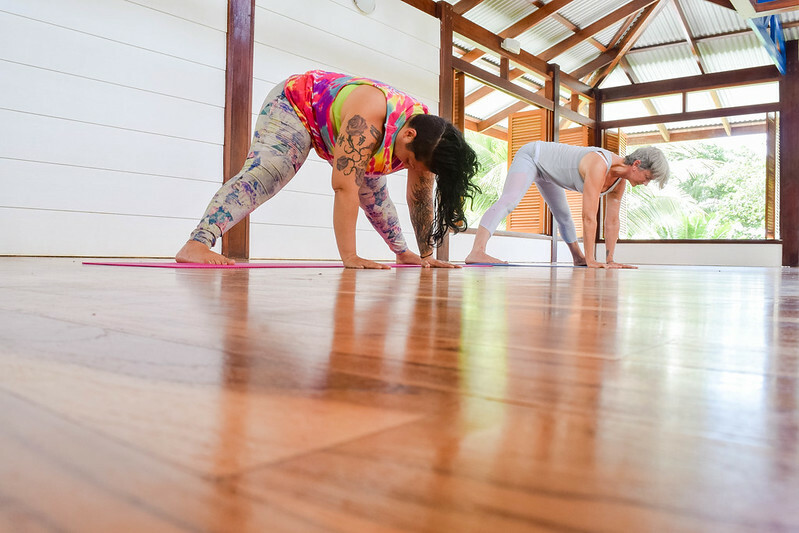 When you attend a public yoga class, you normally go through a sequence of opening poses, followed by some standing poses, and then some cooling ones to close the practice. Pretty simple, right? But there’s a lot more to asana that the eye can see. Did you know that behind each posture lies a connection to your energetic body, a correlated element, an organ that is being stimulated and a chakra?! Here is a deeper look into what those asanas, (poses) represent and their powerful energetic effects. Have you ever notice that after spending some time in Uttanasana, or Prasarita Podottanasana everything just feels right? As in, you’re calm and grounded? That’s because forward folds have the power to calm, ground, and bring you inward. Forward folds are useful postures to practice when your mind is busily absorbed in the outside world. They help to aid introspection. How about that energizing feeling you get after a big, deep backbend? Notice your heartbeat fasten, and your chest expand? Backbends, such as Dhanurasana as seen above, or Bhujangasana are known to be energizing, opening, expansive and detoxifying as well. Not to mention great for your posture! You shoulders will thank you. Think of twists as shapes you’ve seen in nature, from the DNA helix to a spiraling staircase. How that does feel? Exactly as if you were wringing out your spine. And probably, like a great release for your lower and upper back. Twists are balancing and spiritual, as they represent the essence and creation of life. They consist in a sound preparation for meditation because they create a state of sensory withdrawal. Organs: digestive system, lymphatic system. Kidney, spleen, liver, pancreas. Have you ever taken a class mostly composed of later postures? If not, you should try. At Blue Osa, it’s part of the yoga teacher training curriculum, and the energetic effects of lateral poses are clearly visible by the end of class; everyone is in a good mood, socializing and giggling! Lateral postures stretch the sides of the spine and contract one side of the waist while elongating the other. As mentioned earlier, lateral poses allows practitioners to unload emotionally as they create a sense of community. You’ll notice your students will be more talkative after class as well. Isn’t that incredible?! Laterals are recommended for students who are depressed or lethargic. In other words, laterals are expanding and healing – since emotions can be stored in the side body. Extensions refer to any pose that stretches and elongates the spine. Extensions raise your energy levels, balance the pranic energy and creates space in the spine. 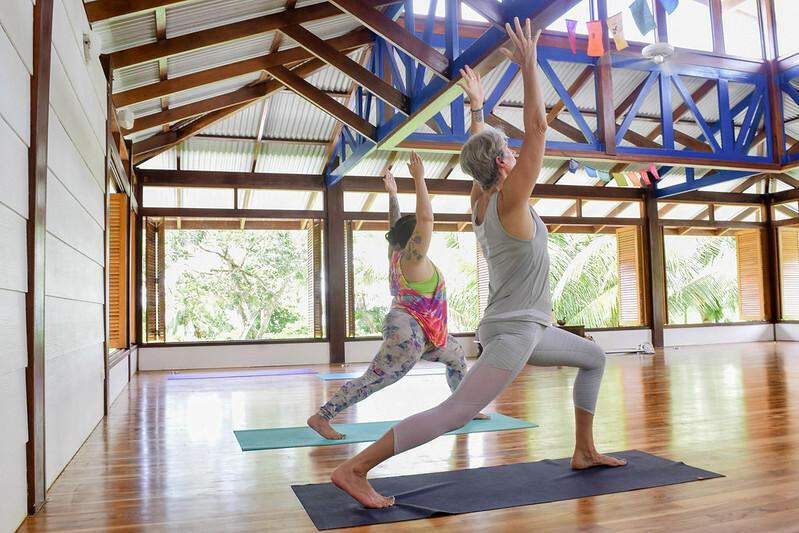 Now that you’ve gotten a taste of the deeper meaning of asana, you start to see that combining a series of asana together in a sequence can be quite the powerful alchemy. Want to know more? 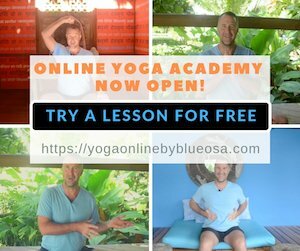 Sign up for the next Blue Osa yoga teacher training to delve deeper into your practice! 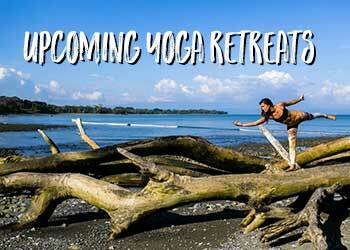 Learn More About Our Immersion Yoga Teacher Trainings! Valentina was born and raised in Italy and later moved to different parts of the US. She is a yogi, a runner, a traveler, an Italian foodie, a chocolate lab lover and a daydreamer. 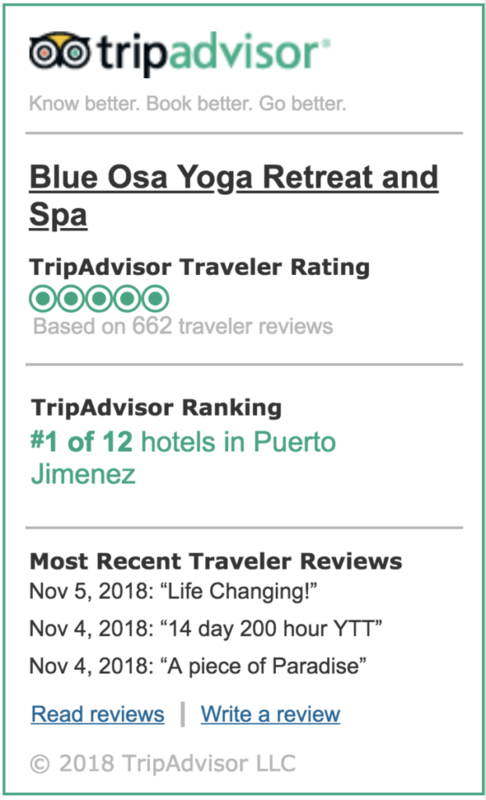 Today she finds herself being belonging-free, on the adventure, living her life authentically and to the fullest in Costa Rica as a volunteer at Blue Osa Resort&Spa. Her greatest treasures are the friends she has acquired all around the world who always offer a shoulder (and a couch) to lean on and northern California live music festivals in the woods. Follow Valentina on Instragram @valentinarose1111. Very nice article. Thanks For sharing great information.